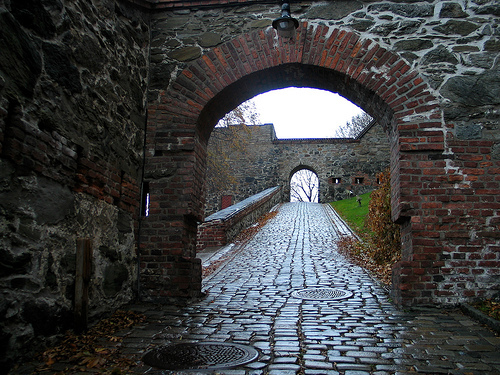 Akershus Castle (aka Akershus Fortress or Akershus Festning in Norwegian) is a medieval castle situated in Oslo, the capital of Norway. The Akershus Fortress was built in the late 1290s by King Håkon V to ward off attacks from the Norwegian nobleman, Earl Alv Erlingsson of Sarpsborg. 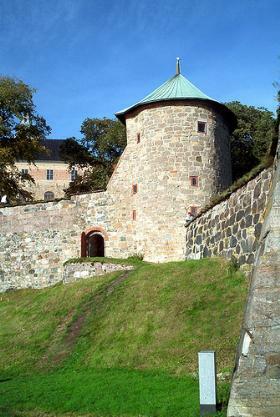 The fortress’s value came from its strategic location near the sea, and it has survived numerous sieges, never being captured in active battle. 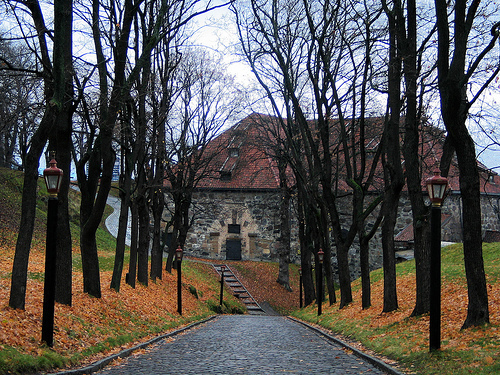 However, during the Second World War, occupying German forces captured the fortress (without a fight) and used it as a prison and execution center. 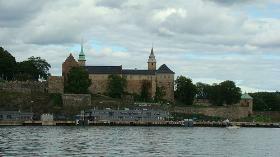 However Akershus Castle was used as a prison prior to WWII too. 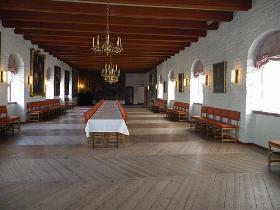 It housed many famous prisoners, including early Norwegian socialists. 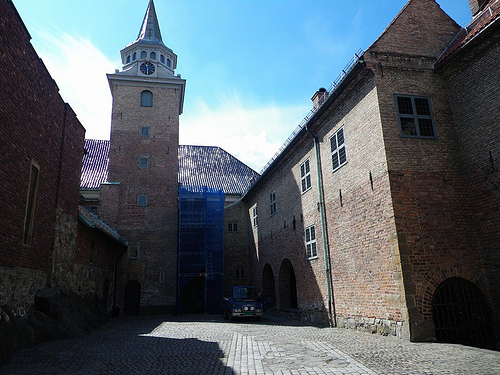 The fortress houses a castle, church, the Norwegian Armed Forces Museum, a model of Christiania (Oslo’s former name), and a prison museum. In addition, many members of the Norwegian royal family are buried in the castle’s mausoleum. The Akershus fortress has the status of a national symbol because of its role as seat of the king and government and the many important and dramatic historical events that have taken place here. The national importance is underlined by the fact that the castle now used as government's premier entertainment venues and hosts the Royal Mausoleum. 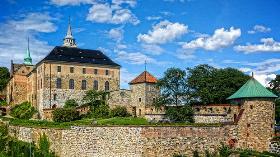 Akershus Castle Church is located in Akershus Castle, the top of the fortress. The services here are open to the public. This small historic church in central Oslo provides a beautiful and peaceful atmosphere. The Armed Forces Museum at Akershus fortress shows Norwegian military history from medieval times to the years after World War II. The Armed Forces Museum's permanent exhibitions are well worth a visit. Here you can experience the military history of Norway from the Middle Ages to the years after World War II. The museum has many unique and exciting items and the visit is free! The Armed Forces Museum has its own museum shop and a pleasant cafe where you can get cold dishes, cakes and a variety of coffee. Norway's Resistance Museum offers an exhibition and archive / library and is the country's leading institution about the Norwegian occupation. 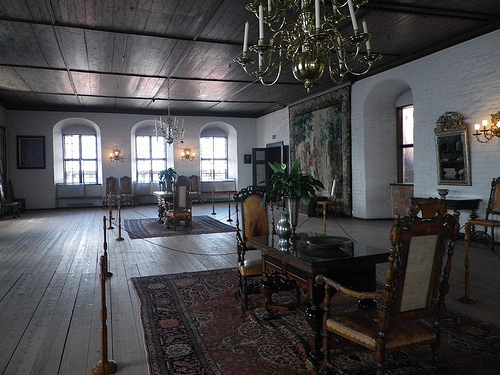 The museum is the country's leading institution for the study of Norwegian occupation history. Here you can wander through an exhibition that looks at several aspects of the resistance and daily life in Norway during the Second World War. A visit to Akershus Castle is a journey through the history of Norway from the 1300s to the present day. 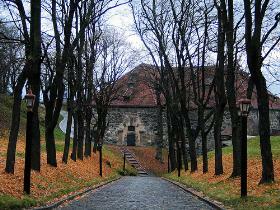 Entrance to the castle is possible all year round, but because it is still actively used, during some periods it is closed during working days. A ticket for an adult costs 70 Norwegian krone (around $13 USD or 9 euros), student tickets cost 50 korona and children’s tickets cost 30 korona. 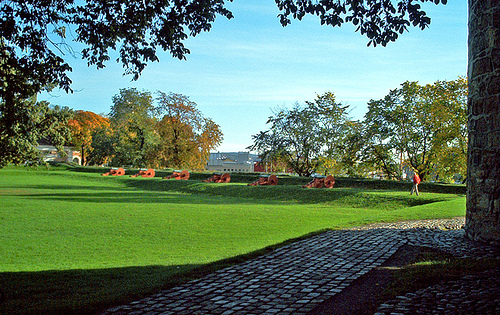 Audio-guides are included with admission. → Between 1st of September to 30th of April it is open on Saturday and Sunday between 12:00 to 17:00. → Between the 1st of May and the 31st of August it is open Monday to Saturday between 10:00 and 16:00 and on Sundays between 12:30 to 16:00 only.